Norman Murphy’s credentials as the finest writer on Wodehouse since the sad death of Richard Usborne need no affirmation from me. This, dash it, is the man who found out exactly where Blandings Castle is. Such an act of benevolent scholarship assures his immortality. A new book from him is always a treat. As Stephen Fry so aptly puts it in his Forword to The P.G. 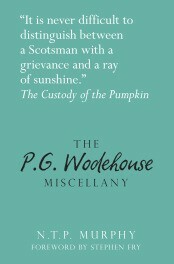 Wodehouse Miscellany (Literary Miscellany), a new book from N.T.P Murphy is always a treat for Wodehouse fans. My copy of this latest release arrived in last Friday’s post and I’ve had a happy week devouring it. 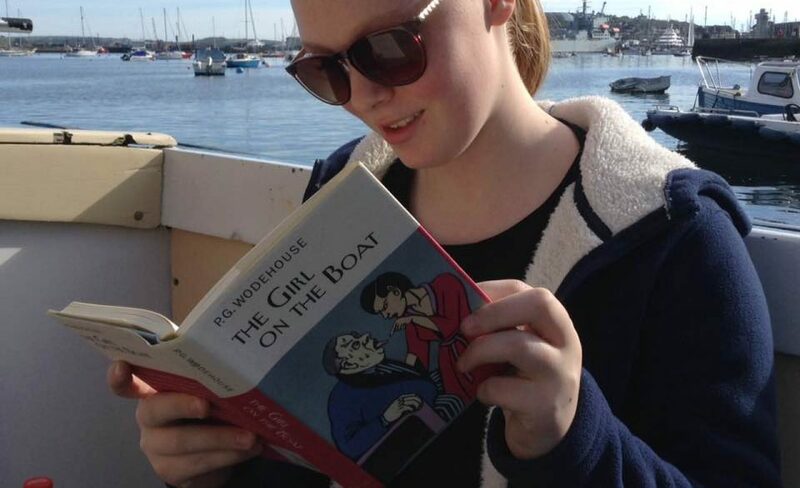 A lifelong Wodehouse fan, in 1981 he published his first book on Wodehouse that showed how many of his characters and settings were based on real people and places. Since then he has published three more Wodehouse-based books. He was also the founding chairman of The P.G. Wodehouse Society (UK). Murphy is also the (UK) Wodehouse Society ‘Remembrancer’, conjuring in my mind an image that is part chronicler, part raconteur — part Galahad Threepwood, part ‘Oldest Member’. I was privileged to meet Norman Murphy in 2013 when I attended one of his legendary guided ‘Wodehouse walks’ in London. I vividly recall his uniquely engaging manner and expert-knowledge holding our group enthralled on a hot summer’s day. The ‘Miscellany’ is written in the same agreeable style, and Murphy’s voice resounds clearly in my head while reading it. Like it’s author, The P.G. Wodehouse Miscellany (Literary Miscellany) is a treasure. For those of us from generations and cultures vastly different from Wodehouse’s own, this book helps bridge the gap between our world and the one Wodehouse and his characters inhabited. Murphy has dedicated years of research to filling this gap — visiting far flung locations and interviewing scores of people — and answering the important questions we Wodehouse readers ask. Where is Blandings Castle? Was Aunt Agatha modeled on anybody? Did the Drones club really exist? Was there a Junior Ganymede? Murphy reveals all in the Literary Miscellany. The service he has rendered us (and future generations), in doing so ought not be underestimated. In addition to providing an excellent summary of Wodehouse’s life and work, this Miscellany is sure to become the definitive geographical tour guide for readers who (like me) enjoy visiting Wodehouse locations. Let us hope it also becomes the authoritative source for journalists and other commentators, so that we can look forward to fewer errors of fact or ill-informed opinions on the infamous Berlin broadcasts. Hats off to N.T.P Murphy and The History Press for making this volume available. You can order a copy directly from The History Press or Amazon (where you’ll also find Murphy’s other Wodehouse works). On a personal note, I would like to thank Norman Murphy for including this blog — Plumtopia — in his list of Recommended Wodehouse Websites. I feel greatly honoured to be included (but I would have said all these lovely things about the book anyway). Reblogged this on Wonkish Mentations. Thanks so much for reblogging this one. Congrats on being listed! That’s wonderful! Thanks Paul. I’m incredibly pleased about it. There was never a doubt that you would eventually make it to the official guide to Plumsville and its remarkable characters. Congratulations, yet again! With you, my friend. We are part of the same happy world. Are you going to accept your abilities as a writer, at last, now?? Another well-written piece on an interesting topic. Congratulations on *15 more* people who obviously think your articles are the goods! Thanks again. I really appreciate it. I am not so full of self doubt as perhaps I seem, but in terms of putting food on the table, not quite in a position to risk everything and back myself. But if I can find a way to make it happen, believe me I will. Do forgive me if I’m being too pressing with the encouragement – my background is in supporting talent and your situation has me in full problem-solving mode. Sometimes people need a guide to a way forward, in terms of making things happen themselves, and that’s something I’ve been trained to do. I’m happy to help you find whatever shortcuts I can on your journey to become an author because, from what I’ve seen, you have the talent to succeed as one. I love it! So thank you, in all honesty. I am not in a financial position to give up my day job, which means time is precious and my writing takes a long time to complete. It is also a bit disjointed, writing in small windows of time. I’m really keen to explore any ideas for a career change that will bring me closer to working in a writing field and I am keeping an eye on local opportunities. But any ideas are always very welcome as the challenge has felt a bit too overwhelming lately. 1. You mentioned a background in public administration. This is an ideal crossover field for university administration. Look on the personnel pages of the university nearest to you and try and get a job in one of the arts and humanities departments. 2. Talk to your work about taking a sabbatical and get a grant that will enable you to fund your living expenses while writing your book. Gemma Seltzer is the literature adviser at the Arts Council 0845 300 6200 and might be able to suggest something. I can help with any grant application forms. 3. Get an agent who will negotiate an advance on the basis of the three chapters I seem to recall you mentioned in another post, allowing you to complete the rest of the work. You will need an agent at some stage – no one takes unsolicited work anymore – so why not now. Always delegate where possible. 1 – tick. I have made this crossover already — I now work in University administration. Great minds think alike! I am not in an arts /humanities area, but if suitable crops up, I’d be well placed to make a shift. 2 – I didn’t know this was possible. I will definitely find out more. Thanks again! 3. Excellent! Excellent! I don’t suppose you fancy being an agent ? Seems to me you are more than suitable . That’s very flattering but not a skill-set I have. Tired again. Computers are so smug. It ought to know what I mean.